Affirm offers quick, simple, and transparent financing that allows shoppers to pay over time for their most important purchases. Affirm drives incremental revenue and marketing efficiency for retailers. 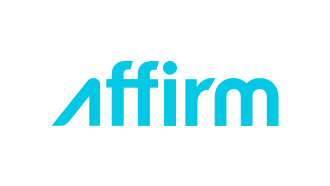 More than just a payment option, Affirm is a full-featured performance marketing solution for retailers that powers higher AOVs and conversion rates by dynamically reframing product prices and cart totals into their equivalent monthly cost. Affirm reduces sticker shock and enables your customers to buy what they want today with simple, transparent financing—giving them more spending power and lifting AOV by 75% on average. When you offer Affirm, more customers add to cart and check out. 35% of customers buying with Affirm say they would not have purchased otherwise. Our state-of-the-art underwriting approves significantly more customers than traditional FICO-based models, and is tailored to reach a millennial demographic wary of credit cards. Affirm is transparent, easy to use, and optimized for mobile. Most importantly, our mission of transparency and fairness becomes an extension of your brand and customer experience.